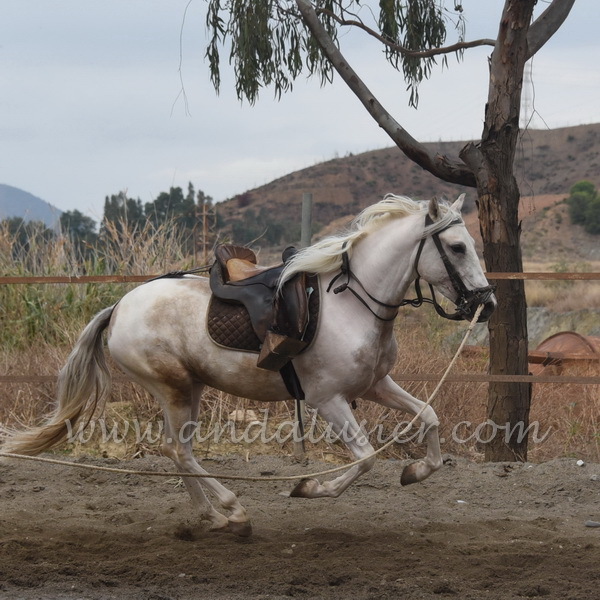 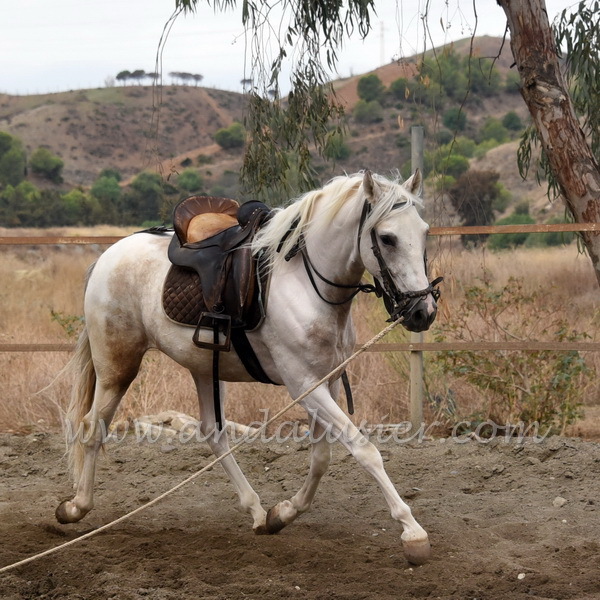 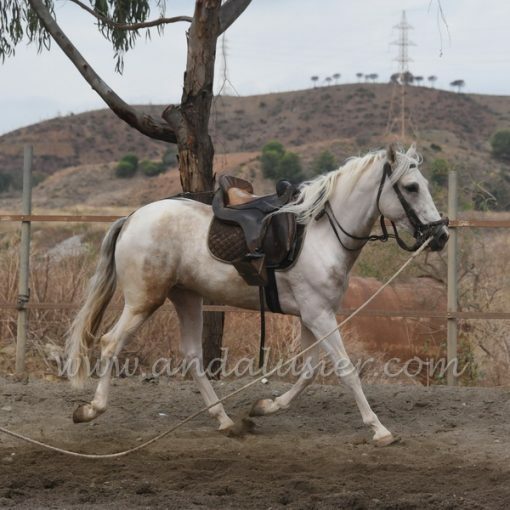 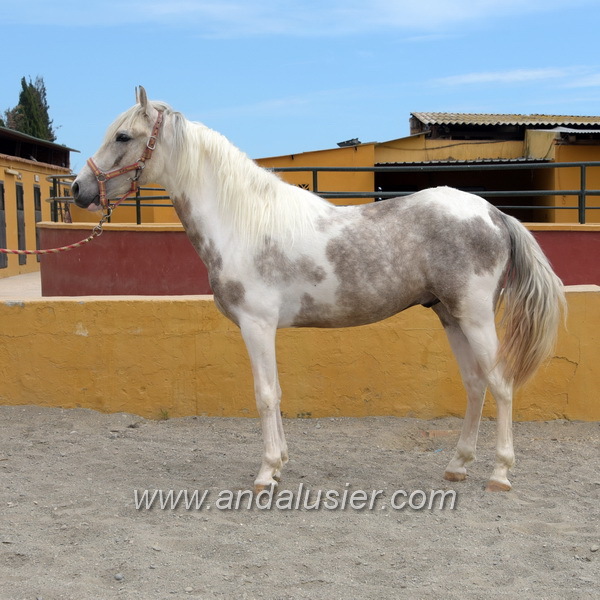 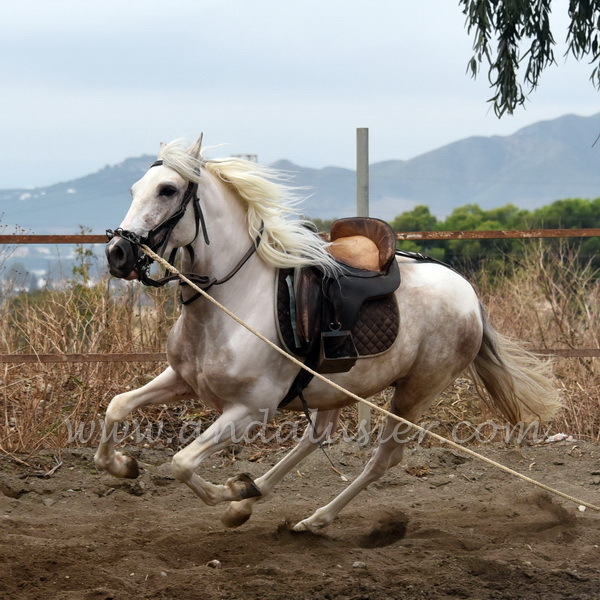 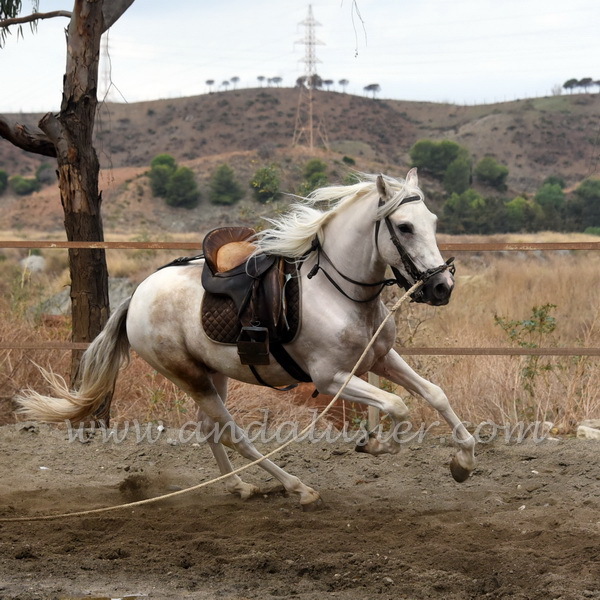 Indiano is a sweet light pinto gelding, which is rare to find. 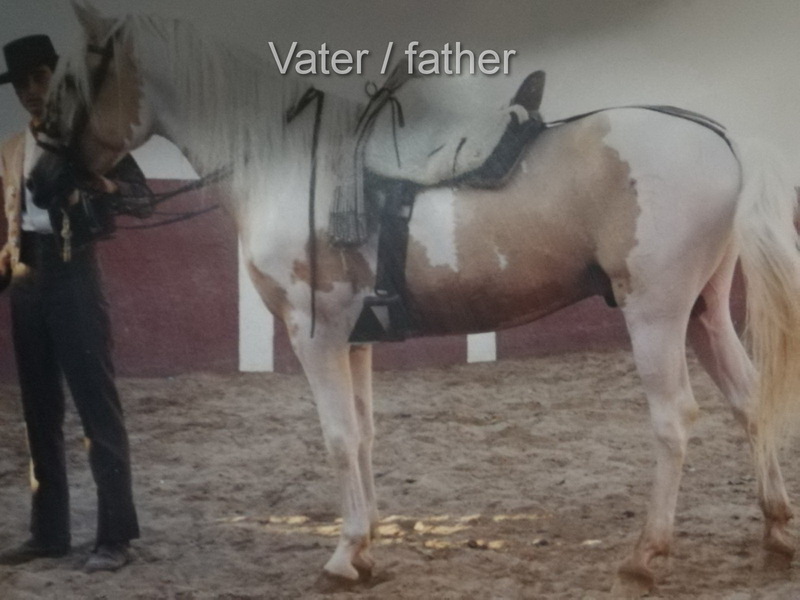 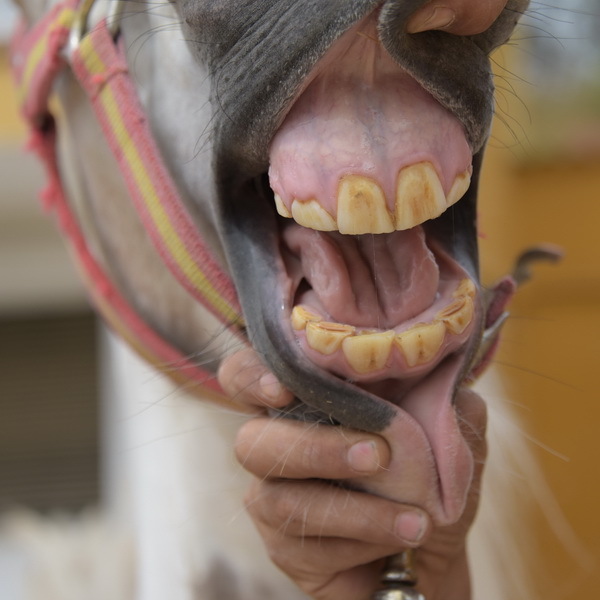 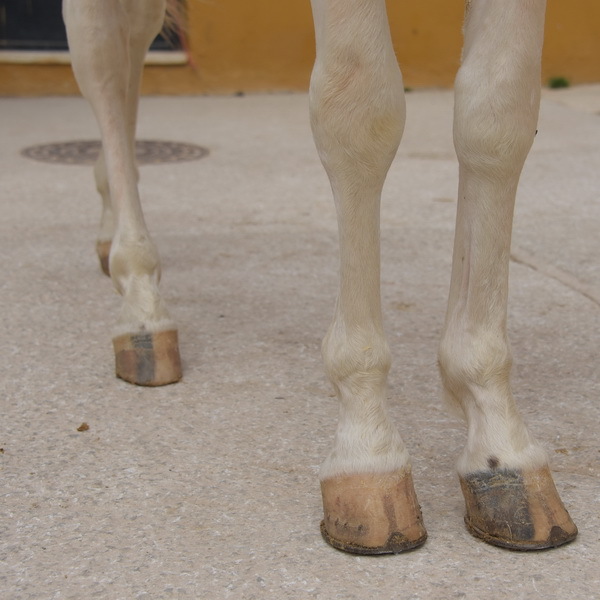 He has been bred by a small hobby breeder, and has therefore a strong bonding to humans, and he is stabled at a mixed yard, a friendly, calm horse, easy to handle and be around. 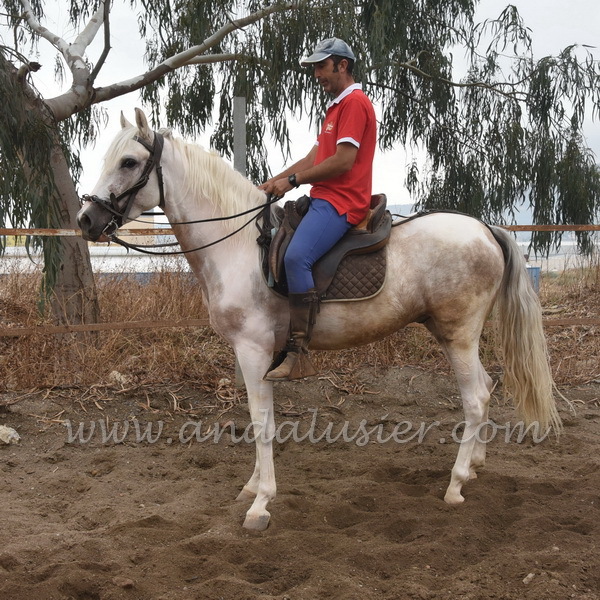 Started under the rider recently in summer 2017., he iius being trained slowly without any time pressure. 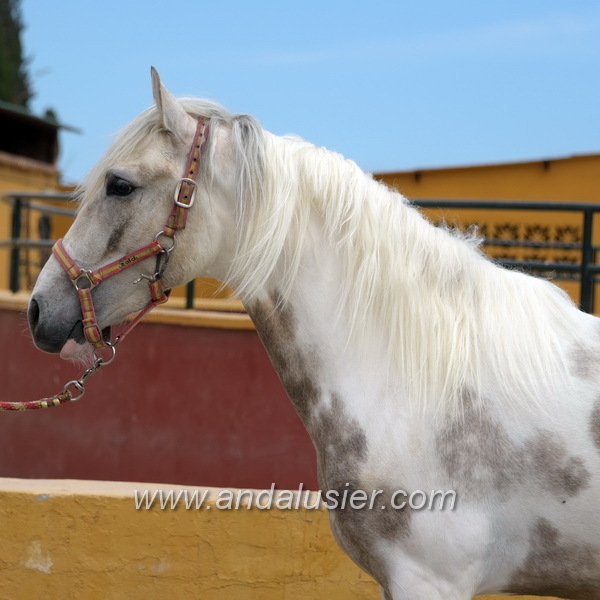 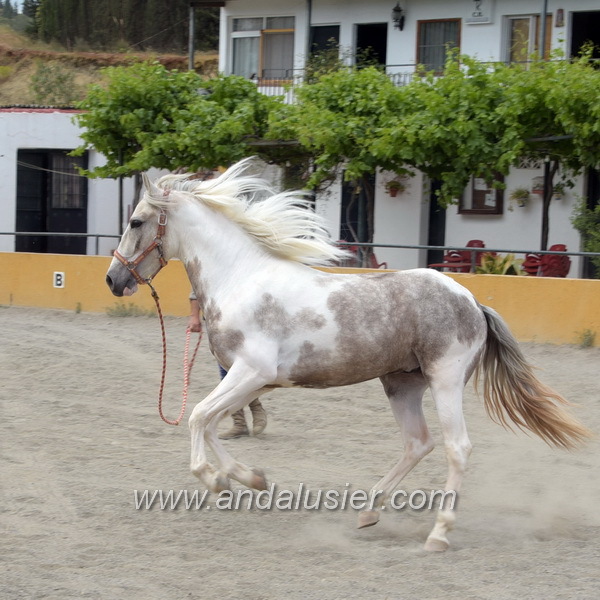 His father is a brave pinto stallion, used as a bullfighing horse (see picture) and his mother a pure bred PRE mare called Lebrijana XXI.